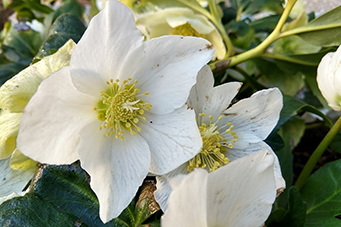 You can find numerous selections of Helleborous hybrids growing in all three UT Gardens locations across the state (Knoxville, Crossville and Jackson). Selections known to perform well, as reported by numerous horticulturists throughout Tennessee, include ‘Joseph Lemper’, ‘Penny’s Pink’, ‘Sparkling Diamonds’ and ‘Golden Sunrise’. For more information on The UT Gardens, you may visit ag.tennessee.edu/utg.